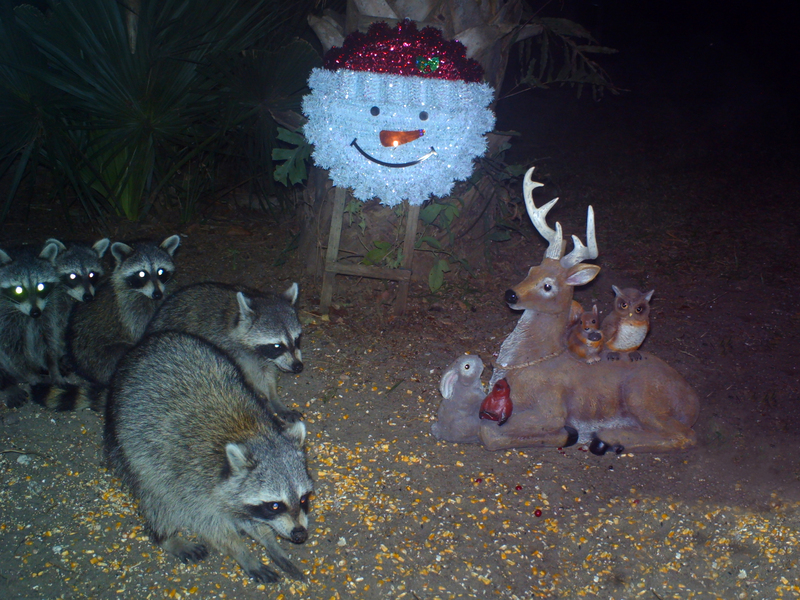 Raccoon Gathering (baby triplets on left), Wildlife Animals in Winegar Backyard, at Christmas, Palm Bay, Florida, December 2017. Thanks! Got to love the raccoons! Right now we have a new mama raccoon with 4 babies. They run over to me like puppies when I come outside. So cute!